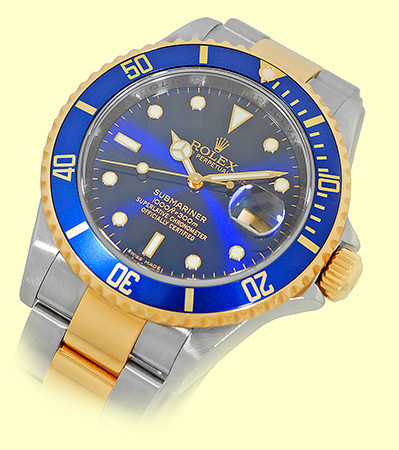 Certified Pre-Owned Gent's Stainless Steel & 18K Yellow Gold Rolex "Submariner" Date. 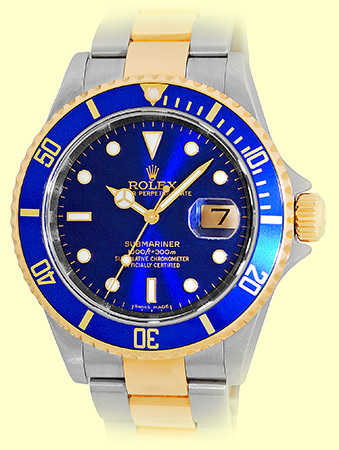 Blue Dial with Luminescent Yellow Gold Hands and Hour Markers, Center Sweep Seconds Hand, Date Indicator. 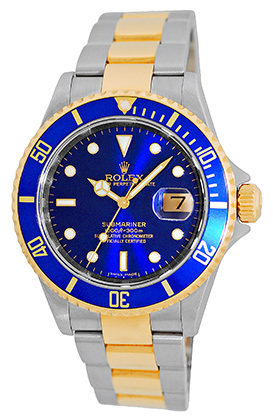 18K Yellow Gold Rotating Diver's Bezel with Blue Insert, Quickset Movement, Sapphire Crystal. 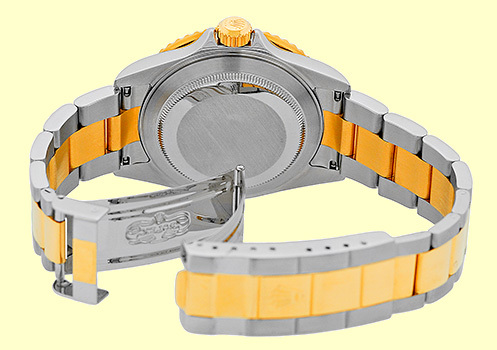 Matching Stainless Steel and 18K Yellow Gold Rolex "Oyster" Concealed Flip-Lock Bracelet. 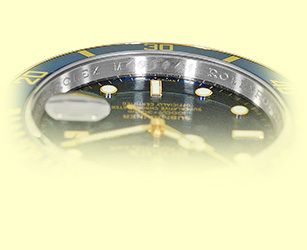 M Serial Number, Circa 2007-2008 Production. 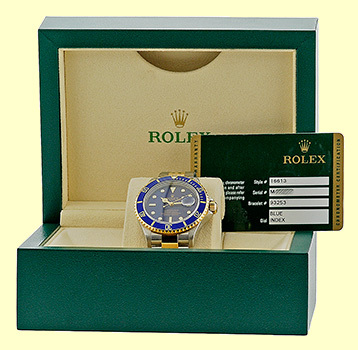 Like New, Perfect Condition with Rolex Box, Rolex Warranty Card Dated, Booklet, Hang Tag and complete with Capetown's Lifetime Warranty! !